Canvas embroidery. Woollen yarns, silks and metallics on a cream linen scrim. 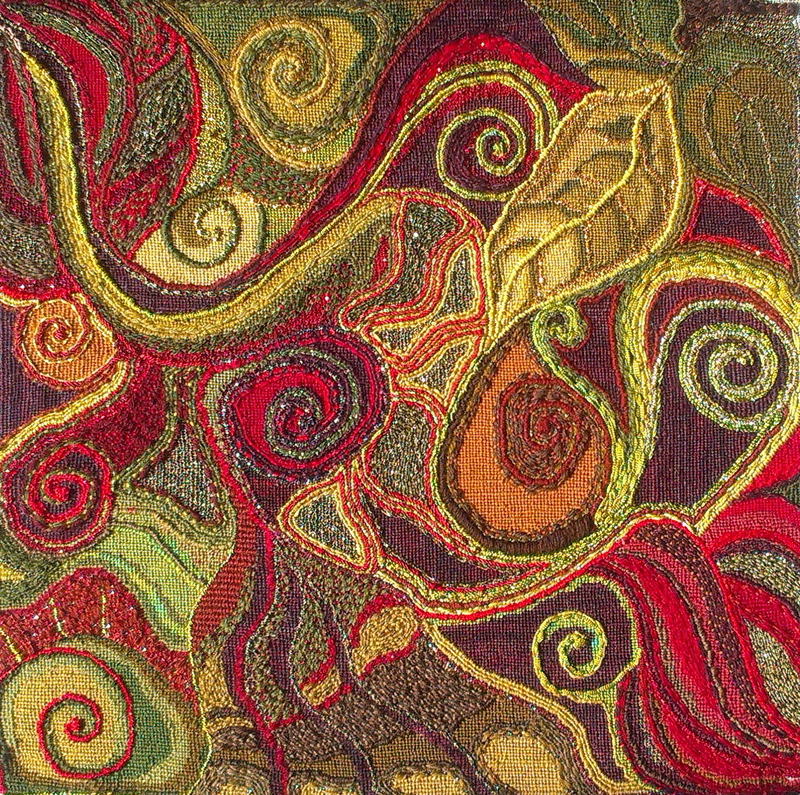 Stitched during February and March 2014. A post about the name is here.